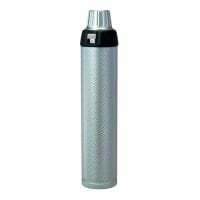 The Heine Delta 20T dermatoscope is a high-quality instrument head to be combined with the optional handle in the Beta range for skin examination. The achromatic optics achieve 10x to 16x magnification, thus providing the dermatologist with a detailed view of the skin. 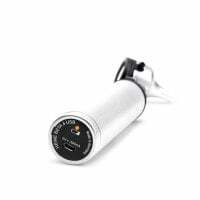 The Delta 20T dermatoscope allows one to easily toggle between polarised illumination and non-polarised illumination at the press of a button and allows dermatologists to easily recognise details like "blink sign" during a milia examination, for instance. 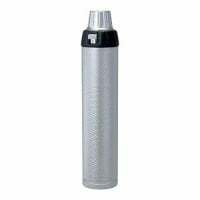 This Delta 20T dermatoscope is not supplied in a set, with a case or any other products–only the diagnostic instrument head. Compatible diagnostic products, such as the handles, can be simultaneously ordered above. 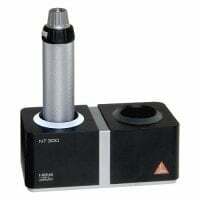 The Heine Delta 20T dermatoscope can also be used with a digital camera. 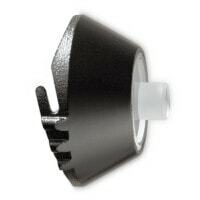 If you would like to order the compatible connector kit for a digital camera, please let us know with which digital camera you intend to use the dermatoscope so that we can help you order the compatible kit. The Heine Delta 20T dermatoscope is not smartphone compatible! 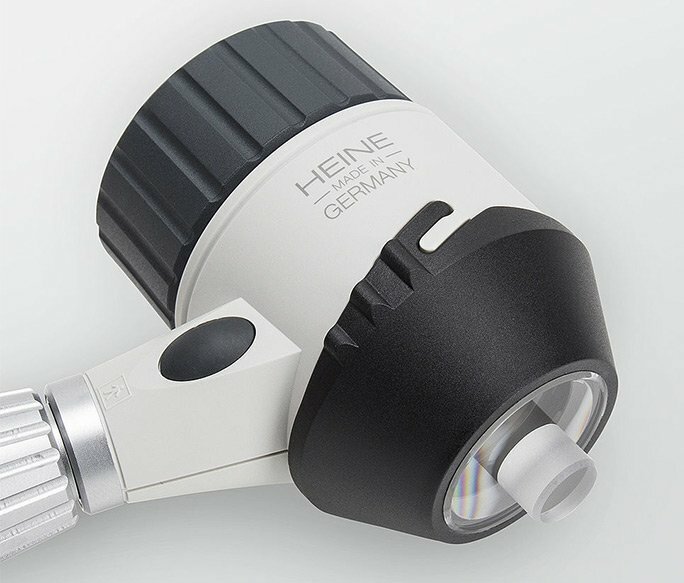 The Heine Delta 20T is a dermatoscope with precision optics, which can be toggled between polarised and non-polarised light. Sold as instrument head for compatible Heine handles. The HEINE Delta 20T is a high-quality dermatoscope with HQ LED illumination that can be used for contact dermoscopy with an immersion liquid (e.g. immersion oil) or for non-contact dermoscopy with polarised light. This makes the Delta 20T particularly flexible and offers the proper exam method for every lesion. Built into the Heine Delta 20T is a precision lens in the shape of an achromatic optical system, which delivers razor sharp, high-resolution images with 10x to 16x magnification. This makes diagnosis extremely simple. A special advantage is the LED illumination in Heine quality through with an absolutely natural colour resolution is displayed. This property is especially important when assessing the colouration of liver spots. The Delta 20T can be combined with various batteries, rechargeable handles and the practical Heine charging station. The toggle function is one of the significant specialties offered by the Heine Delta 20T. With this function, one can switch back and forth between polarised and non-polarised light at the touch of a button. For many other dermatoscopes, it is necessary to change the contact plate in order to view the skin lesions under different lighting conditions, which poorly compares to the Delta 20T due to the time delay. By switching between polarised and non-polarised light, a sort of signal appears on certain structures that is also known as a "Blink Sign". This signal emerges because certain structures appear differently under various lighting conditions. Blood vessels and crystalline structures appear as white lines when changing from non-polarised to polarised light, while milia are easier to recognise under non-polarised light. In the example (left), one can see the illumination of a basal cell carcinoma when using the toggle function. The Heine Delta 20T as a hybrid dermatoscope is ideally suited for evaluating all types of skin changes. A special contact plate is available as an optional accessory for the Heine Delta 20T, which makes this dermatoscope a specialty in the market. The contact plate only has a diameter of 8 mm, which makes it ideal for examing difficult to reach skin areas. Because skin cancer not only develops on easily visible areas like the back, stomach or face, but also on wrinkles and spaces between the fingers and toes, it is very important to always thoroughly examine these areas during skin cancer screenings. Since an examination on such difficult to reach skin areas is not possible with a normal contact plate, Heine offers an extra small contact plate that makes possible professional evaluation of lesions on these areas. Whether it involves the spaces between the fingers or toes, the area around the finger and toenails, wrinkles or intimate areas–with the small contact plate, skin changes can be easily examined on problematic areas over the entire body. As opposed to standard contact plates, the small contact plate is slightly protruded which makes it ideally designed for each exam situation. 671,19 DKK* Not ready for shipping. Reserve today and we will ship as soon as possible. Do you need the compatible handle for the Heine Delta 20T? 843,66 DKK* Not ready for shipping. Reserve today and we will ship as soon as possible. Would you like a rechargeable handle with a charging station for the Delta 20T?